Successful students understand and have mastered the five skill sets required to do well in school. In addition to that, they have mastered self-discipline. The number one skill set they have mastered is to understand how they best learn. They have figured out how their brain wants to take and process information. We call it, “Knowing your operating system”. You can google, “Free Learning Styles Inventory”, and do two or three of them. The results of these tests, when combined, will help you begin to understand how you learn. They will assist you in figuring out if you learn by reading, listening or doing. We do use all of these types of learning but some of us tend to have a preference. The second skill is productivity. Some may call it time management but let’s be honest – you can’t manage time. Good students have 24 hours in a day, poor students have those same 24 hours. Clearly, the magic is not in the time – it is in the productivity within the time which makes the difference. Good students are productive with their time. It is what allows them to get things done quickly and more efficiently. The third skill – set is processing information. Good students set themselves up for success by consuming information the way their brain naturally wants to process it. If a student’s information is effectively and efficiently processed it is easier to retain. Efficient learning is dictated by your operating system. 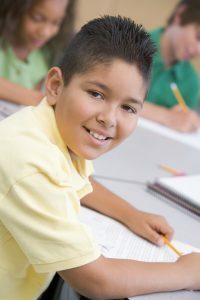 Good students utilize study techniques that allow them to make information “sticky”. When information is “sticky” it is easier to remember and thus allows the student to build on skills and answer test questions with ease. Finally, good students have mastered exam taking strategies that allow them to efficiently and effectively work through an exam. Knowing how to leverage exam strategy easily adds marks and allows students to finish the exam within time limits.